Charles H. Ahrens and his son H. George Ahrens founded the company in a rented shop facility at 6350 Greenway Ave, Philadelphia, PA. Originally, the company, Charles Ahrens & Son Lumber & Millwork Company. Inc., specialized in manufacturing a full line of residential millwork which included custom wood radiator covers, custom exterior entryway door systems, custom wood moldings and wood kitchen cabinet fronts, doors and drawer heads. In 1940 H. George Ahrens relocated the company to a larger facility to 5027 Beaumont Avenue, Philadelphia, PA. The business was closed in 1942 and reopened after World War II. The company again required larger facilities and in 1948 moved to the ‘Old Griffith’s Tapestry Building’ on Route 452, Pennell Road, Glen Riddle, PA. In 1966, Charlie “Butch” Ahrens, George’s son founded the A&C Wholesale Distributor Company, a division of Charles Ahrens and Sons, Inc. A&C specialized in the distribution of residential wood kitchen & bath cabinetry and sold through kitchen & bath dealers with showrooms. The Ahrens family sold the original company in 1970 in order to direct all their time & effort to A&C. 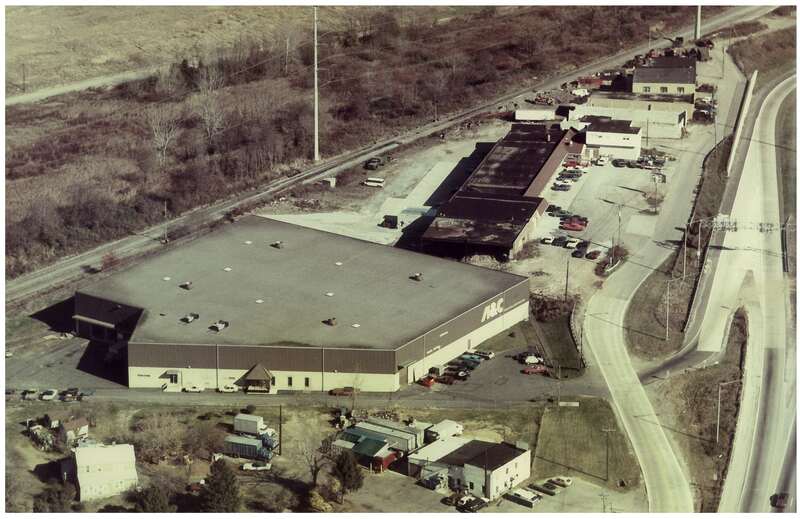 In 1970, A&C’s initial location was the ‘Old Lester Piano Factory’ facility in Lester, PA. A&C grew rapidly and in 1971 moved to larger facilities to the ‘Chester Tidewater Terminal’ facility in Chester, PA. In 1973, A&C began construction of it’s new home, a 65,000 sq ft. modern steel warehouse facility, at 2000 Concord Road, Chester Township, PA. This location can be seen and easily accessed off Interstate I-95. This location opened in 1974 and has been the home of A&C ever since.